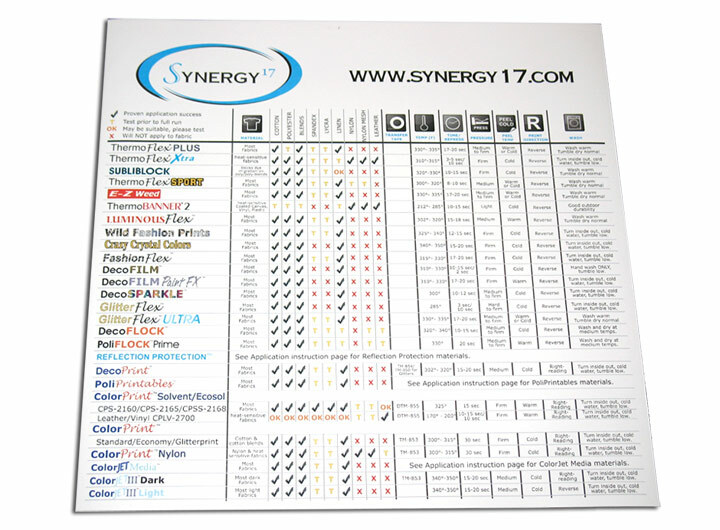 This is a repositional wall graphic poster with all the settings for the Specialty Materials vinyl we offer. The chart shows which material the vinyl applies to, along with the required pressure, temperature, and time it needs to be pressed at. This chart makes it quick and easy to setup your heat press to decorate your garments.